We have many other event happening throughout the year. Why not call or email us now for latest events and see what we have to offer. Why not come along to our Murder Mystery evenings featuring our new murder mystery group who will entertain you throughout the evening. If you have group bookings for 50 or more people call our reservations team for special rates or even a private murder mystery. Call or email now to request our new brochure. 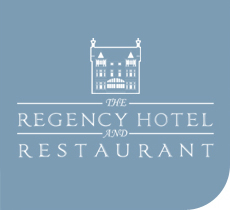 Find out the latest news and views from the Regency Hotel Blog!